In Greek the meaning of the name Zita is: Reaper. In American the meaning of the name Zita is: Reaper. In English the meaning of the name Zita is: St. Zita was a 13th century patron saint of domestic servants. In Spanish the meaning of the name Zita is: Little hope. Saint Zita (c. 1212 – 27 April 1272; also known as Sitha or Citha) is an Italian saint, the patron saint of maids and domestic servants. She is often appealed to in order to help find lost keys. A Saint! Now that is certainly more like me!! 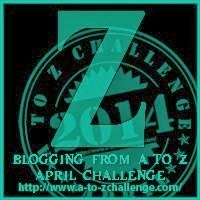 Linking my final A to Z Challenge Post up with Ms Mystery Case!